KIDS FIRST! News » Blog Archive » Pandas – Wonderful family-friendly documentary about one of Earth’s most lovable creatures! Pandas – Wonderful family-friendly documentary about one of Earth’s most lovable creatures! In the mountains of Sichuan, China, a researcher forms a bond with Qian Qian, a panda who is about to experience nature for the first time. KIDS FIRST! 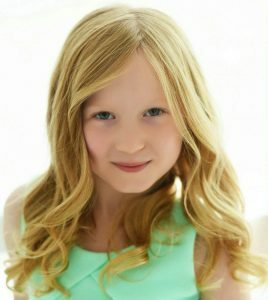 Film Critic, Abigail Zoe L. comments, “The fun family IMAX film, Pandas is wonderfully entertaining and educational. It is a documentary about the journey following one particular panda living in captivity, to its release into the wild.” See her full review below as well as Benjamin’s interview with the film’s director. The fun family IMAX film, Pandas is wonderfully entertaining and educational. 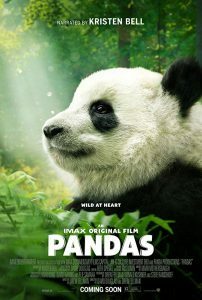 It is a documentary about the journey following one particular panda living in captivity, to its release into the wild. The movie begins when Chen Chen is just a pup, living with other baby pandas in captivity. Based on the black bear research of Ben Kilham, this lucky panda is released and followed in the wild. The American researcher, Jacob Owens and the Chinese researcher, Bi Wen Li work together to help bring Chen Chen into her natural environment. Along the journey, she has some awkward moments and challenging times. I won’t tell you what they are because it would give away a big part of the movie. My favorite scene is the beginning when we see Chen Chen and the other pandas playing together. In many ways, they seem just like little kids happily playing. My other favorite scene is when Ben Kilham is playing a peek-a-boo game with a black bear behind a tree (say that 10 times fast). The music, by Mark Mothersbaugh, is really child-like, which adds to the fun playfulness that we see with the pandas. The narration by Kristen Bell is spot on with her happy tone and soothing voice throughout the film. The sweetness in her voice adds to the enjoyment of the movie. My favorite character has to be the adorable Chen Chen and also the researchers. Chen Chen is always entertaining because she is so cute, loving, has a great personality and is very curious. I especially love the part when the researchers say they will always be there for her whether it is in ten or 20 years. I recommend this film for ages 5 to 18 and give it 5 out of 5 stars. Look for it when it opens in IMAX Theaters nationwide August 17, 2018. This entry was posted on Monday, August 13th, 2018 at 1:25 am and is filed under Feature Film Reviews. You can follow any responses to this entry through the RSS 2.0 feed. Both comments and pings are currently closed.